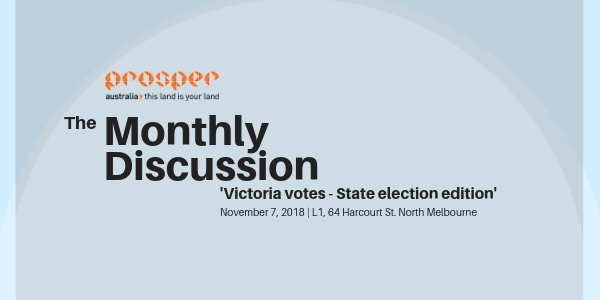 Come along to the Monthly Discussion in November for the Great Victorian Election Debate! We analyse the policies and the promises, the past record and the rhetoric, through the lens of Georgist economics. As Melbourne slides down the liveability index, which party has the solutions? Is Labor’s ‘big build’ a big debt boondoggle? Can the Liberals really use the tax system to decentralise the State? How will the Greens replace all that lost pokie cash? For up to date information check out the Facebook Event.